Well helloo there! 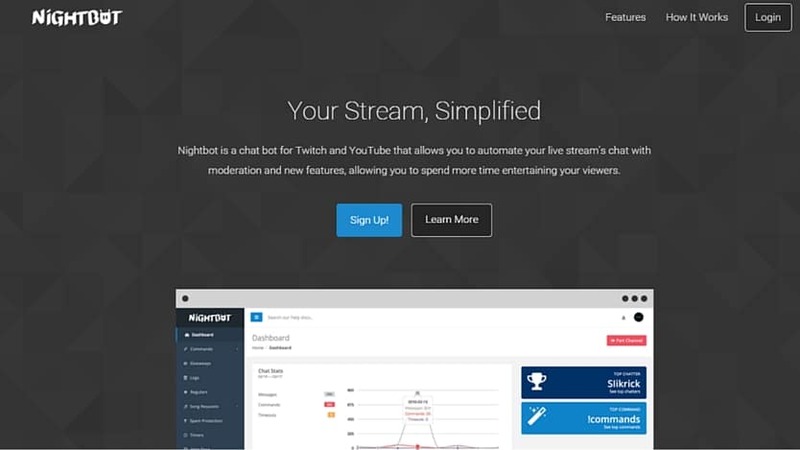 Today i’m going to show couple commands that mods can do with Nightbot that can help out your mods to keep your channel up and running. This post is part of the series: How to stream on Twitch and part of the Twitch bots series how to setup the stream and do all the nitty gritty things. So let’s get started! !songlist- Gives a link for the Nightbot website where you and everyone else can see the songs listed. !songs delete 1 – Number after the delete let’s you remove a song from the list. You can see the ID number of the song from the Nightbot website. !skipsong – Skips the song all together. Really handy if someone has put a troll song on the list and broadcaster is busy with pew pew. !volume 1 – Number after the volume affects how loud are the videos played from Youtube. You may need to tinker with this sometimes. There is already the banning and timeouts buttons if a mod hovers over the person on the chat. I like to use those more than just straight up commanding. /ban <username> – This will permanently ban a user from the chat room. /unban <username> – You can unban a person from the chat. This is also used for timeouts witch usually comes handy when someone posted a link and Nightbot timeouts the chatter. !addcom !awesomecommand TEXT – First one is the add command function, second one is what you name the command and use later. TEXT is what you want to say. So remember to replace the !awesomecommand and TEXT spots how you want them to show. !delcom !commandname – Deleting the command is pretty easy. You just use the first function and then add the name of the command you have already created. There is quite a lot commands that mods can create and many times i have seen them adding some kind of function or a minigame for the chat. For example ChimmTV has a !flip command when she flips the car in H1Z1. That then shows the amount of flips she has done while playing. You can learn more about commands from the Nightbot docs.